I’m still on the road, but my series of essays on siege warfare in Syria has not ground to a complete halt: far form it. Expect more soon, but in the meantime, two reports from the New York Times of considerable importance. I’ve taken that summary from a press release on 20 June; the full report will be presented today, and you can download it here. (scroll down). 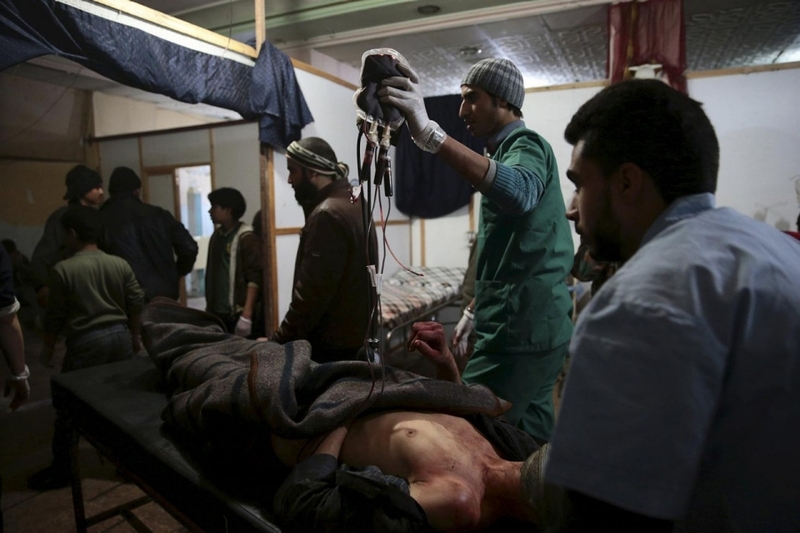 On April 7, the draft said, an improvised explosive delivered from the air hit a multistory residential building roughly 200 yards from the Rif Damascus Hospital, the last functioning hospital in Douma. You can download those missing pages here. 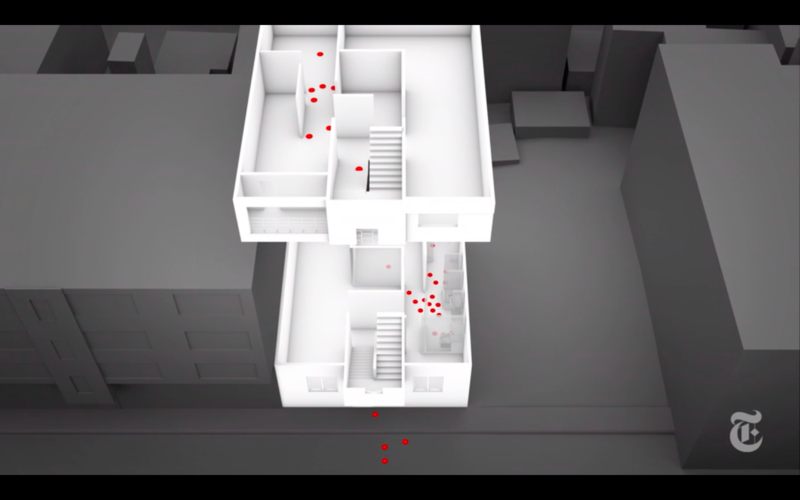 All of this is a vital preface to a second report from the New York Times: a reconstruction of the attack on that apartment building presented in Augmented Reality here. We were unable to visit Douma. But to get to the truth of what happened, we forensically analyzed the visual evidence unwittingly provided by the Russian reports. 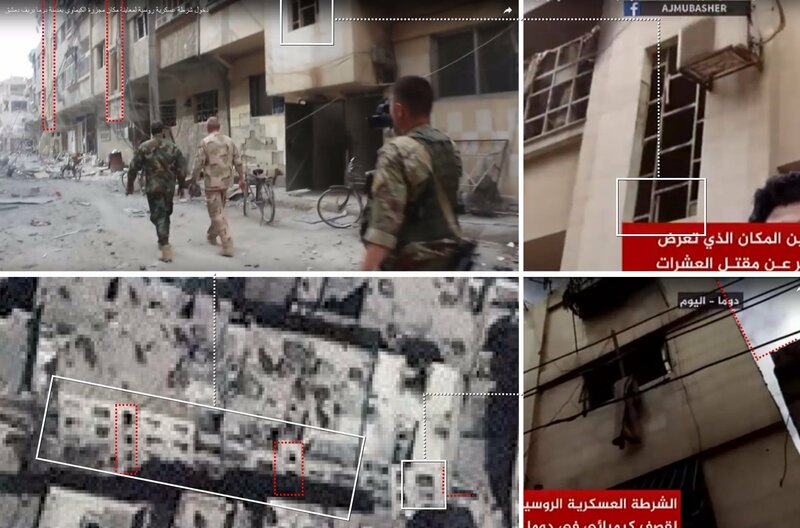 Combining those pictures with other videos filmed by Syrian activists, we reconstructed a 3-D model of the building, the balcony and the bomb, in partnership with Goldsmiths, University of London research agency, Forensic Architecture. The reconstruction brought a virtual crime scene to us. 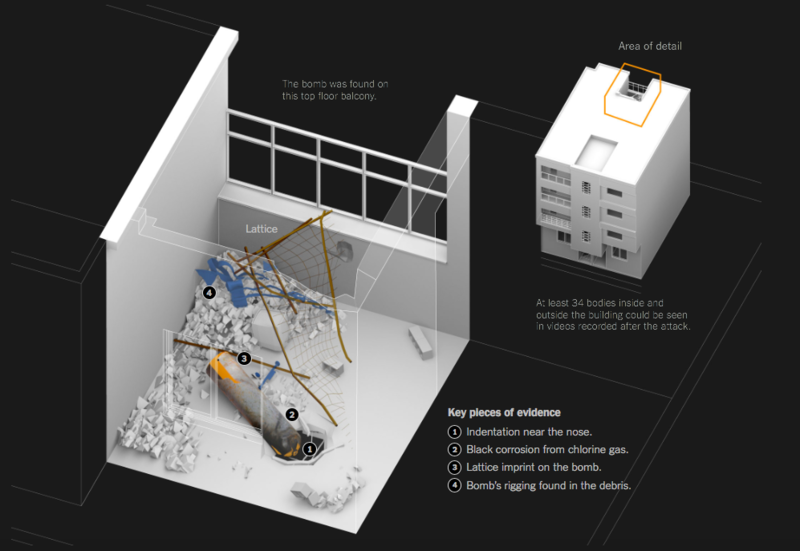 We could inspect how the bomb related to the trove of visual evidence around it, the debris strewn across the balcony, the bomb’s design, the architecture of the rooftop, the damage inscribed on the bomb’s casing, the hole punctured in the roof, and how the bomb penetrated into the room beneath. 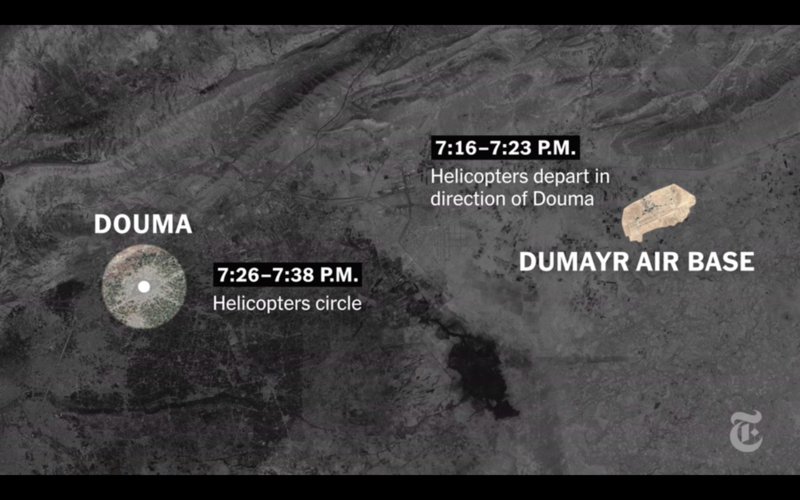 Key pieces of evidence indicate that this bomb was not planted, as officials claimed, but dropped from a Syrian military helicopter. The evidence supports chlorine was involved. And it affirmed when it happened — on the evening of April 7, a time frame that is consistent with witness reports and interviews of that day. The analysis confirms the narrative I set out in Gas Masques, but adduces several other evidentiary or inferential details. 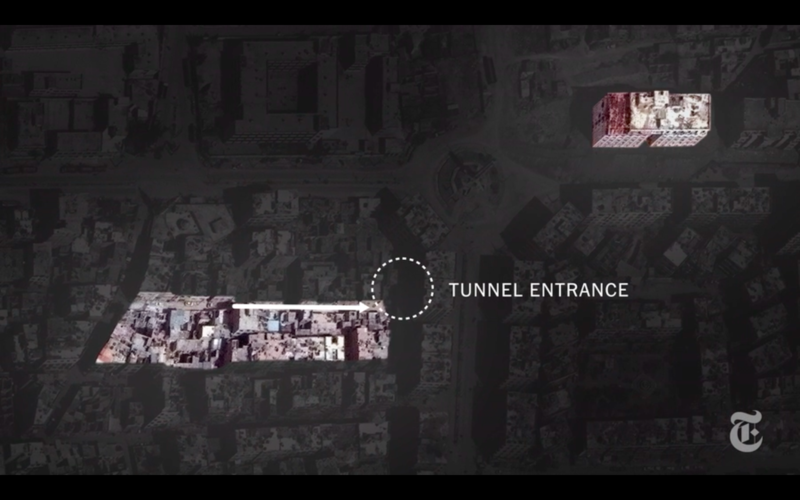 In particular, it reveals that the apartment building (lower left in the diagram below) was located on a street that was regularly used by ambulances ferrying casualties to reach an underground tunnel that gave access to the only functioning hospital in Douma (upper right) – and may have been attacked for that very reason. – and, finally, devastating film of the victims whose bodies, so experts confirmed, exhibit signature symptoms of exposure to chlorine gas at highly concentrated levels. They do not rule out the use of other chemical agents, but they also conclude that the casualties did not die from a conventional weapons attack (see my discussion of Robert Fisk‘s reporting in Gas Masques) and neither were they somehow staged (I also discuss this in detail in that same essay). Many of the victims had been sheltering the in the basement from the bombardment; smelling chlorine, the report concludes, they ran up the stairs towards the top floors of the building – the usual response, since chlorine is heavier than air – not knowing that the gas had been released from a bomb on the roof…. It’s an appropriately corrosive report, and you can watch the full 12-minute video here. Please do. Simply put, drones are about more than targeted killing (that’s important, of course, but remember that in Afghanistan and elsewhere ‘night raids’ by US Special Forces on the ground have been immensely important in executing supposedly ‘kill or capture’ missions); and at crucial moments in the war in Afghanistan 90 per cent of air strikes have been carried out by conventional aircraft (though intelligence, surveillance and reconnaissance from remote platforms often mediated those strikes). 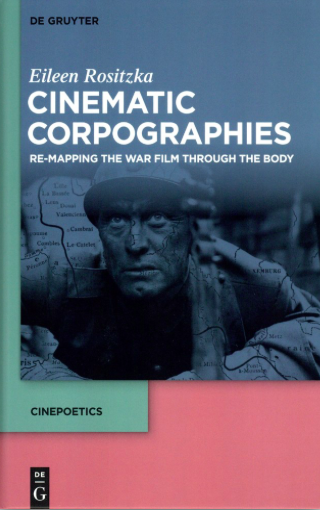 This is a far cry from the individuation of later modern war, the US Air Force’s boast that it could put ‘warheads on foreheads’, and that often repeated line from Grégoire Chamayou about ‘the body becoming the battlefield’. And, as I’ve been trying to show in my series of posts on siege warfare in Syria, there are still other, shockingly violent and intrinsically collective modalities of later modern war. 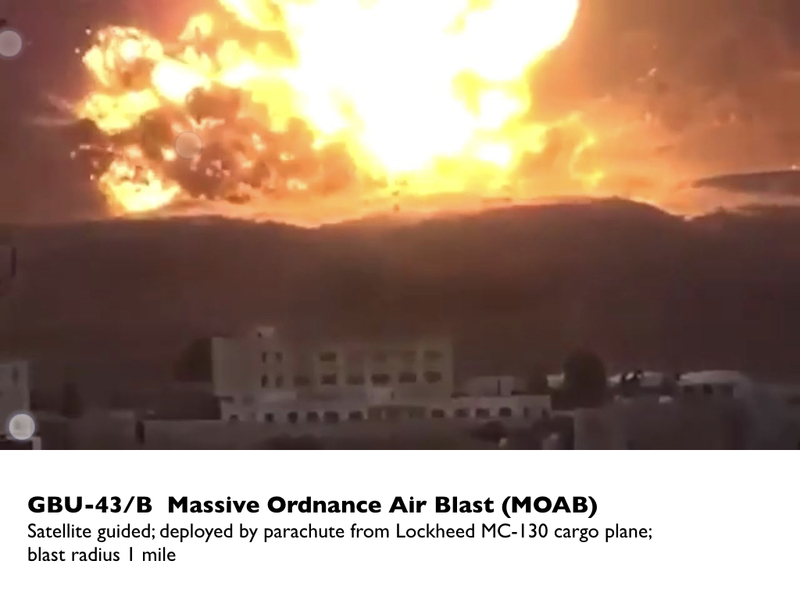 Drones have been used there too, but in the case of the Russian and Syrian Arab Air Forces targeting has more often than not avoided precision weapons in favour of saturation bombing and artillery strikes (see here). A new US drone base has been built in Niger, but its ultimate purpose is unclear. 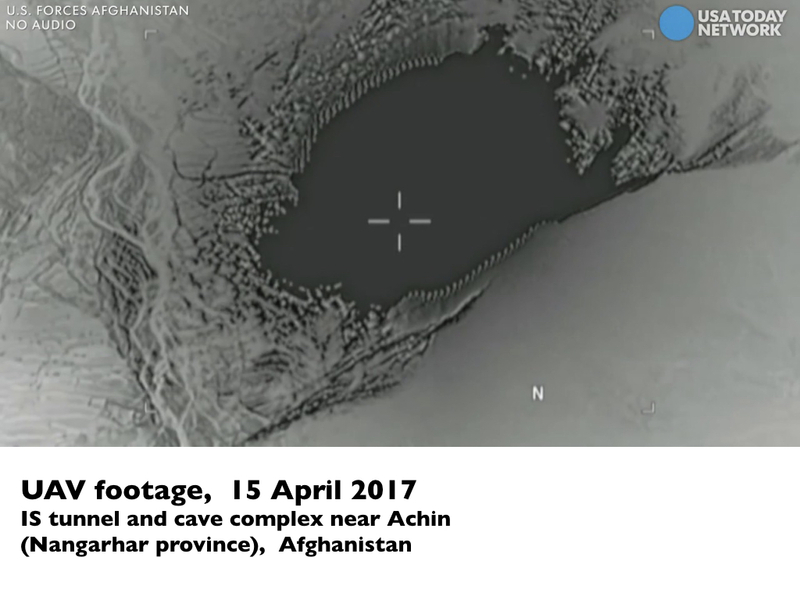 In Afghanistan, the US is trying to prevail over the Taliban, without committing to a substantial increase in troop numbers, by waging an increasingly secretive air war. In Yemen, the US is leaning on the United Arab Emirates as its on the ground counterterrorism partner, a country with a troubled human rights record. Meanwhile, proxy confrontations with Iran are threading themselves into the mix. Our Shadow Wars project will widen the focus of the Bureau’s drone warfare work. Over the next year, we will bring new and important aspects of US military strategy to light, of which drones are just one troubling aspect. We aim to explore issues such as America’s increasing reliance on regional allies, the globalisation of the private military industry, the blurring of lines between combat and support missions and the way corruption fuels a state of permanent conflict. 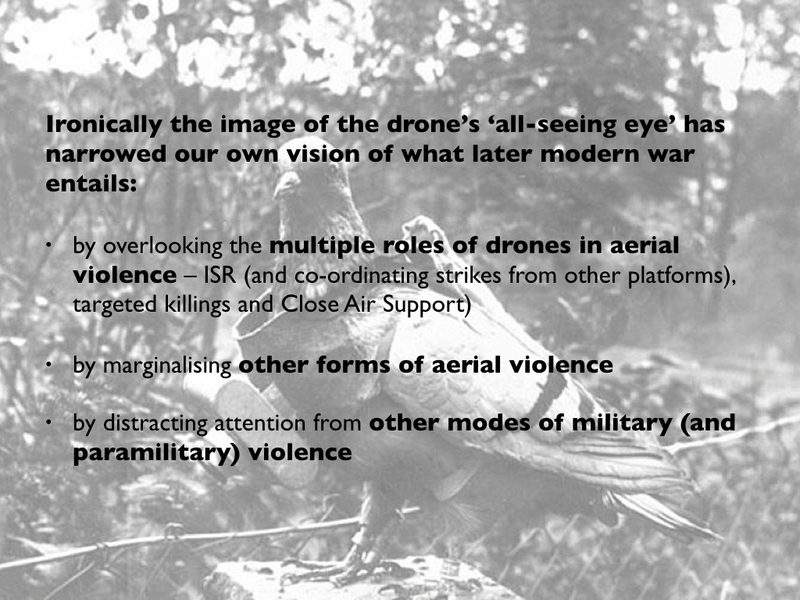 As with our work on drones, our primary concern in this new project is to publicise the effects these evolving practices of war have on the civilians on the ground.